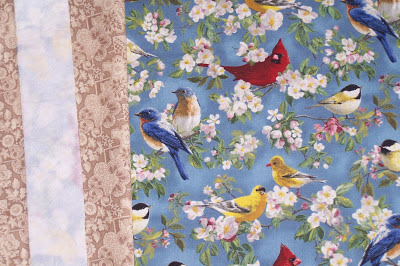 This is the fabric I am using for my messenger bag. 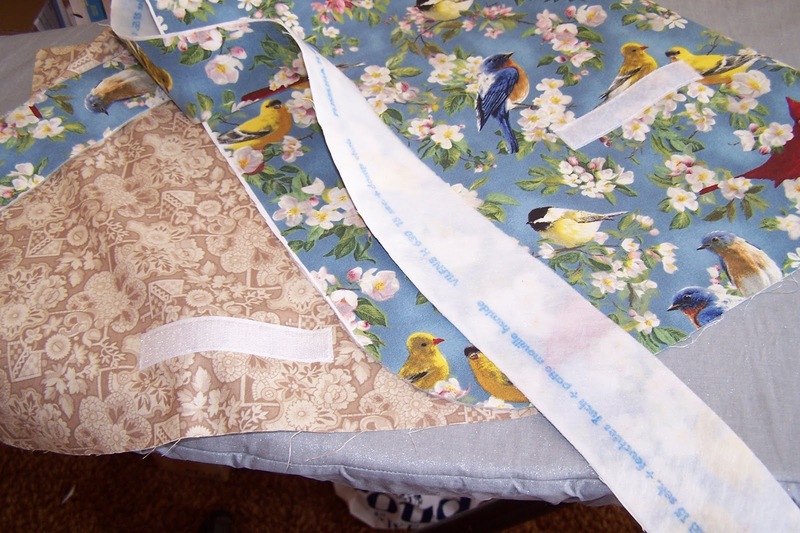 The lining fabric is on the left, and the outer fabric is on the right. 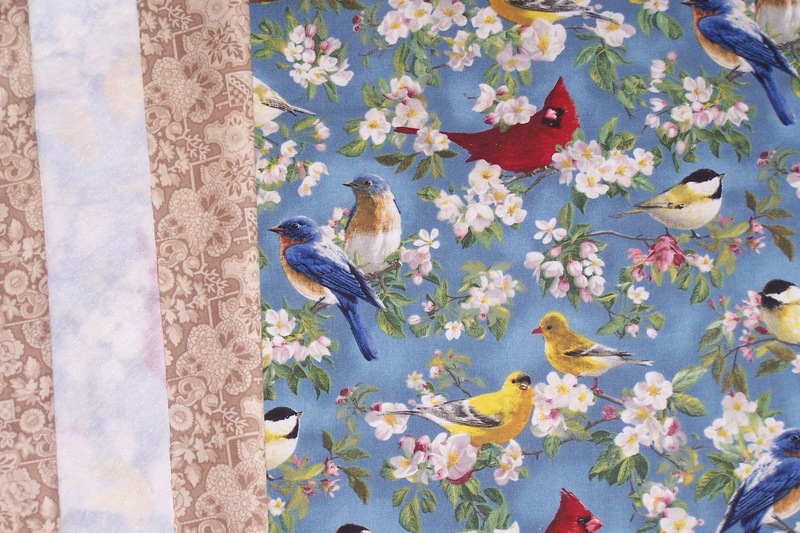 While it is not wonderful quality fabric, I just fell in love with the birds in blossom fabric and could see it made up in a bag. Did I tell you I hate black lining fabric in bags? I am sure I did, and that is why this lining is not black! I don't care if it gets dirty, I just can't see anything in a bag lined with black fabric. I have done the internal pockets and here you can see I have attached the velcro. I interfaced the outer fabric with a very light weight iron on Pelon. I hope it is not too thick as I have to be able to turn the bag through to the right side after I have attached the lining. Below are the pieces of fabric cut out and interfaced and waiting to be sewn up into pencil cases for my niece and nephew. 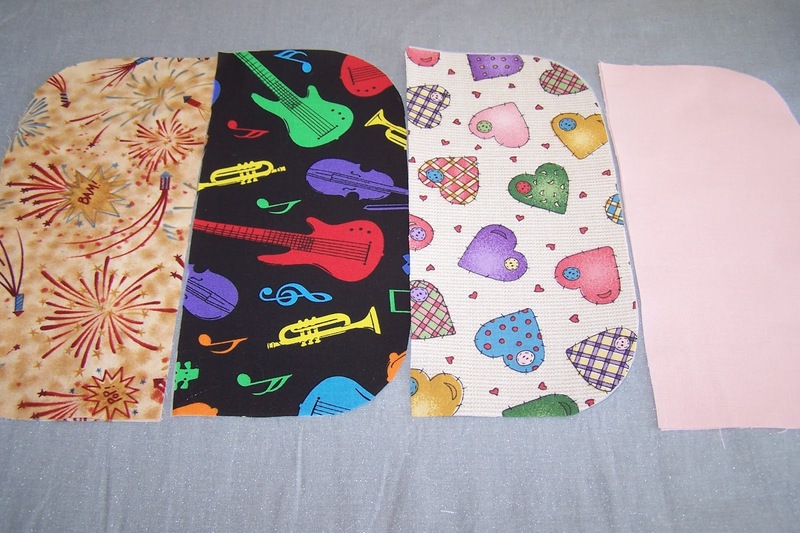 The hearts and the musical instrument fabric will be the outside of the pencil cases and the lining fabrics are the 'rockets and bam' fabric to the left and the pale pink fabric on the right. Very gender specific aren't they! All of these patterns came from the book by Sue Kim called Bags : The Modern Classics. It is a lovely book and I really love her pattern for a wallet - that is one I will be trying at a later date. So I will be working on these 2 projects over the next little while, and then I have to do some sewing for my dressmaking course. My craft room great-clean-up is finished and I am oh so pleased, but it is not worthy or stylish enough for a photo on this blog. Happy sewing and creating everyone! I love the fabrics for the messenger bag. I agree with you--black is NOT a good color for lining bags!